Updated: 11:39 a.m. | Posted: 7:37 a.m.
For the second day in a row, a person was hit and killed by a light rail train in the Twin Cities. 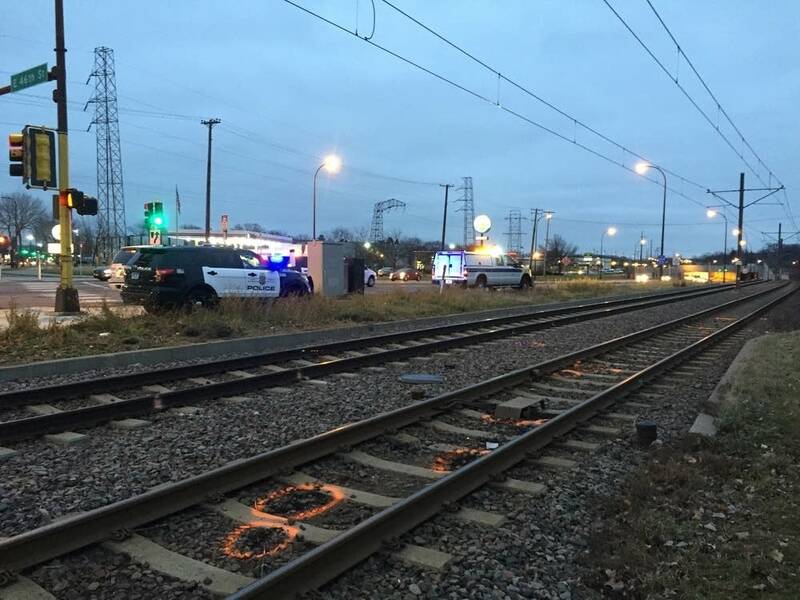 A male bicyclist going south was struck by a southbound train about 6:30 a.m. Friday at 46th Street and Hiawatha Avenue on the Blue Line in Minneapolis, said Metro Transit spokesperson Howie Padilla. The victim was taken to Hennepin County Medical Center where he was pronounced dead. He will be identified by the medical examiner. Padilla said the man appears to have been biking past the warning signals at 46th Street and Hiawatha Avenue when he was hit. "We really want to get the message out, take a minute to heed these warning devices," Padilla said. "They're there for a reason, and if you have to wait for these short trains to go by, life is worth more than that." On Thursday, a woman was killed when she was struck by a train as she crossed the Green Line tracks on University Avenue near Hamline Avenue in St. Paul. Metro Transit identified Thursday's victim as 67-year-old Nurto Abdi Aden. She was the third pedestrian fatality on that train line. Tim Nelson is a general assignment reporter for MPR News.